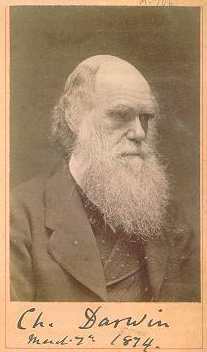 Since Charles Darwin published his theory of evolution in 1859 there has been almost continuous controversy. Recent fundamentalist efforts toward teaching alternatives to evolution theory in U.S. public schools have sparked renewed interest in evolution. This site is intended to provide a summary of the science surrounding evolution theory, discussion of the issues, and links to more material. All of the information in this article is covered in much greater detail in The Evolution of Aging. It is a common misconception that evolution theory is an all or nothing proposition. You either believe in evolution or you do not. In fact, there are several different aspects to evolution theory that have vastly different levels of scientific certainty. There exist families of species that are related to each other in the same way that individual members of a species are related. Families of species in a particular geographic area tend to be more related to each other than to species in remote, isolated locations, just as individuals tend to resemble other individuals in their locality more than those in distant lands. Fossil evidence shows existence of prior species including pre-humans and shows that species appeared and disappeared in a particular order consistent with gradual accumulative development. Genetic data proves relationships between species in much the same way that genetic data can prove or disprove relationships between different people. The molecular biology of living organisms (enzymes, proteins, hormones, etc.) is very similar in related species such as mammals. Selective breeding can clearly create an organism (e.g. Chihuahua dog) having a new design that did not previously exist. Natural forces (including survival of the fittest) have an effect nearly identical to selective breeding in selecting features of a new organism design. Another aspect of evolution theory mentioned by Darwin is variation. Differences in inheritable characteristics between individuals in the population of a species are required for either selective breeding or natural selection to operate. "Survival of the fittest" requires some individuals to be more fit than others. While there is little disagreement with this general idea, the source of variation is still discussed. Why aren't individuals more alike or more different? How does a species maintain variation? The struggle for existence between individuals and species is important to the evolution process. Only the fittest survive. Group Selection - proposes that individually adverse characteristics including aging can evolve if they have a sufficiently large group benefit and sufficiently small individual disadvantage. The Selfish Gene Theory - proposes that some individually adverse behaviors (but not aging) can be explained by the nature of genes. Evolvability Theory - proposes that organisms must maintain the ability to evolve, separately and distinct from the ability to survive - explains aging and some behaviors. Historically, scientists and the public have largely ignored the arguments and theories dealing with the individual benefit problem. Most people are not very interested in obscure behaviors of wild animals and plausible alternative theories existed to explain aging within the confines of orthodox Darwinism. A few academics in ivy-covered halls argued endlessly while the rest of the world yawned. Another common misconception is that evolution theory explains the origin of life. Evolution theory explains how a single, original, primitive (single cell) living organism (possibly even a single individual organism) could evolve, during a period spanning billions of years, into all the myriad and complex species that exist today, including humans. Darwin made no attempt to explain how that original organism appeared and was certainly content with the idea that God created the original life form. The origin of life is a separate issue from the origin of species. There is no scientific consensus regarding the origin of life. Many scientists consider the answer to this question to be "unknowable". Many religious people object to evolution theory because it conflicts with the biblical version of creation. Many, even less religious people, also object to the individual benefit requirement in that it leads to a vicious "dog-eat-dog" view of the natural world. This conflicts with the teachings of most religions as well as the general tenets of human civilization and society, which are substantially based on individual sacrifice for the greater good. Proponents of creationism and intelligent design reject evolution theory and instead propose that individual species were created by God or under the direction of some other supernatural "intelligence". Efforts by fundamentalists to stop the teaching of evolution in U.S. public schools or to force teaching of creationism as an alternative to evolution have been blocked by the U.S. Supreme Court on First Amendment (separation of church and state) grounds. Intelligent design is less overtly religious and avoids mentioning God or the bible, but contends that current species could not have evolved through natural forces alone without the aid of some guiding intelligence. Initiatives are underway in many areas leading to the teaching of intelligent design as an alternative to evolution in public schools. Many educators and scientists object to teaching intelligent design or any other subject involving supernatural forces in science classes on the grounds that science should be confined to natural phenomena. Some see teaching intelligent design in biology class as similar to teaching alchemy in chemistry class or astrology in astronomy class. Summary of Evolutionary Aspects of Genetics. Download Evolution of Aging complete book (PDF). Read Evolution of Aging (HTML version). Download Table of Contents (PDF). Visit Aging Info for information on theories of aging. If you need a PDF reader (free) click here. The resources page provides links to sites having information on subjects mentioned here.